TITLE: "Behold the Souper You"
Chunky Soup is made with good stuff that makes you feel good. And when you feel good, you’re more likely to do good stuff for others, thus revealing the Souper You. 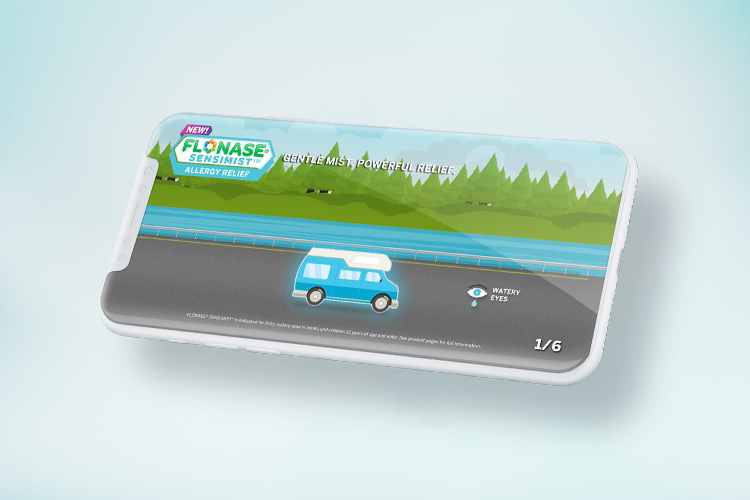 This integrated campaign engaged Canadian consumers on a more thoughtful and emotional level. All in all, the campaign and commercial went on to be one of the best-testing creative initiatives that Campbell's Canada has ever produced. Our spot debuted contextually online and in cinemas before previews of superhero films like Justice League, and Star Wars during the winter holiday blockbusters. Movies-style trailers, billboards, and theater standees reinforced the message. Sponsored Facebook posts along with :15 and :06 second bumpers on YouTube, Twitch, IMDB, and Hulu extended the campaign’s reach. Social listening for relevant stories and posts with words like "volunteering", "helping", or "fixing" allowed us to identify thousands of people worthy of being rewarded for their good deeds. Teasing tweets, Facebook posts, and Instagram influencers also helped us find people doing good things for friends, family, and the community. 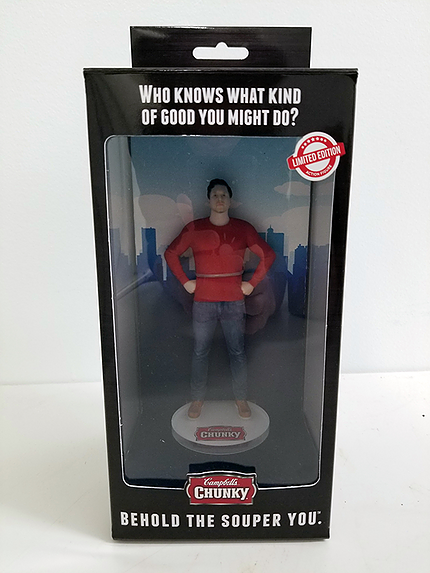 We then partnered with My 3D Selfie and invited all these do-gooders into the League of Souper Heroes by immortalizing them in a custom 3-D printed action figure, which were subsequently shared all over social media.